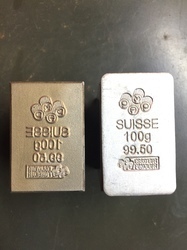 we are stamping dies used for gold and silver bars. 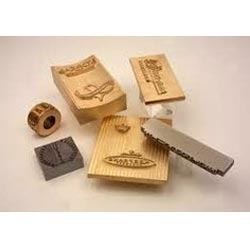 We introduce our business as a noteworthy organization of qualitative array of Progressive Stamping Die. We offer to our honored patrons the first-class range of Soap Stamping Machine Die Mould. The array of Hot Stamping Grade Engraved Whitlone Dies are formulated using quality-approved as well as durable components procured from renowned vendor companies. These Dies offered by us is extensively used in hot stamping foil. This assortment of products also finds applications in heat transfers onto flat/ Curve Surfaces. With excellent and reliable shipping facilities, our team delivers the product range in the dedicated time period. Every item in our range is manufactured utilizing premium supplies sourced from renowned traders. Therefore, our products are reliable. Dome Tech Art Pvt. Ltd.
As an affluent name of this domain, we hold expertise in providing high quality Pressed Metal Progressive Stamping Die. Single Cavity Die (Stamping Die) set for soap is made up of Gun Metal comprises an engraving on the upper side and series of the interchangeable number. The letters are furnished for positioning in two rows on lower dies. Die shell are of high precision and polished spring loaded inserts ejecting arrangement is made to release the stamped soap from the die. We are highly engaged in manufacturing and supplying a wide range of premium quality Progressive Stamping Die. - To produce parts of various industries such as automotive, electronics and other appliances. Hot Foil Stamping is a printing method in which a heated die and foil are used to apply artwork or graphics to a surface and is mostly used in printing, graphics and plastic industry. Die Stamping Machine We take pleasure to introduce our firm as an ISO 9001:2008 certified manufacturer, exporter and supplier of Die Stamping Machine . Offered machine is used for printing the logo of company in the soap. This machine is available to our clients in diverse technical specifications to fulfill the needs of the clients. Recently we have started production of Metal Blanking & Piercing Dies for Sheet Metal industries, giving them the best yield optimization of the raw material, thus reducing the scrap. Our dies are guaranteed for 2, 50, 000 to 3, 00, 000 Pieces. With the help of adroit team, we present an extensive series of Stamping Dies. Our products are available in varied specifications that meet on consumer’s demand.